Binge-viewing could be coming to a library near you. 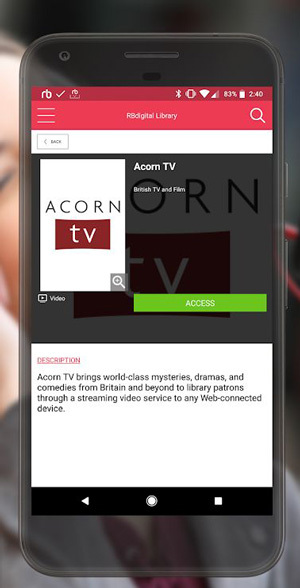 RBmedia, which owns Recorded Books, has released an unlimited streaming video service for libraries, as well as a new version of its app to allow patrons to access multiple content services, including the streaming shows. RBdigital, the specialized streaming video service, will give library users the chance to view videos from RBmedia's licensed content in the same way they watch shows on Netflix. They'll be able to watch as many shows as they like in a seven-day period while the library pays for a single checkout. According to the company, the unlimited license model will save libraries 75 percent compared to competitive services. Learn It Live, with "thousands" of live and on-demand classes covering health, wellness and personal development, among other topics. RBmedia said it plans to add more streaming content sources to its collection. 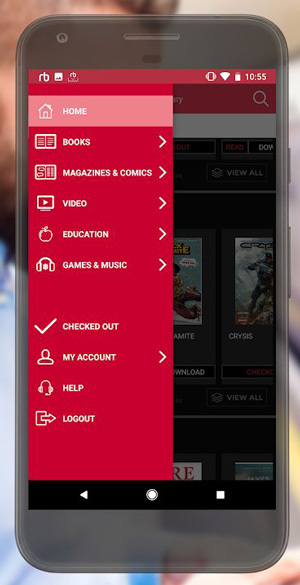 Along with the new streaming video service, the company has also released an update to its all-in-one app that lets patrons access the streaming video as well as audiobooks, e-books, magazines and comics, education instruction and games and music. That's available for Apple iPhone and iPad and Google Play. Among the many higher ed institutions that currently use RBdigital services are Fairmont State University and Pierpont Community & Technical College in West Virginia, Clemson University in South Carolina and California State University Long Beach.